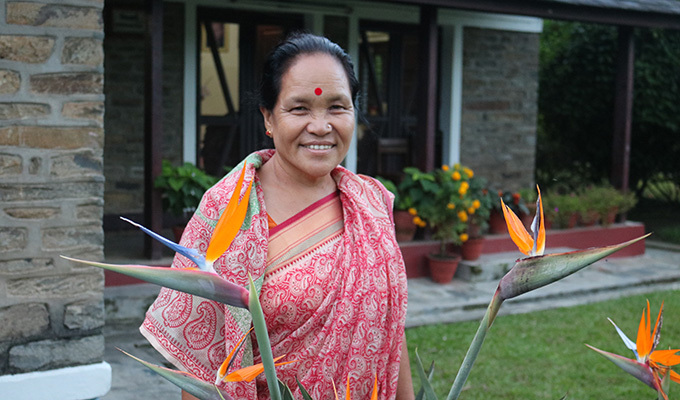 Many committed SOS mothers devote years caring for children, but Chandra Kala Thapa of Nepal has the distinction of being one of the longest serving mothers in the global SOS Children’s Villages organization. Chandra has been caring for children for 40 years at SOS Children’s Village Gandaki in the city of Pokhara in Central Nepal. Over that time, she raised 35 children – 22 boys and 13 girls, including the nine under her care. She raised seven since they were babies. Now, aged 60, Chandra is preparing to retire early next year. “I am the most fortunate woman in the world,” she says. “Nothing is so satisfying than to live for those needy children. I could hardly help two or three children as a biological mother but here I could bring up 35 children. I am proud of my SOS family”. All of the elder children who grew up in her SOS family have graduated from high school or have gone on to university. Many work or created businesses and two live abroad, in Denmark and Canada. Some married and have started their own families, giving Chandra 16 grandchildren. Dawa Lama Sherpa, 27, a daughter, says Chandra “has always been a loving and caring mother." “She could be a little strict sometimes, especially when it came to our studies. She would always say that we need to think about our future and for that we need to study hard,” says Dawa, who came to SOS Children’s Village Gandaki at the age of four and now works at a life insurance company. She got married last October. On a typical day Chandra’s home bustles with activity. Before school, the children tidy up their rooms, eat breakfast and finish homework. After school, they join others in the SOS Children’s Village – some 150 children altogether – in playing soccer or learning taekwondo. In the evening, they study and help around the house, including helping Chandra prepare dinner. When asked to describe Chandra, one 14-year-old boy who has lived in her home for the past seven years, says: “She cures us when we are sick and helps us to do our work. She teaches us how to do good and not to do bad to others." Chandra Thapa in front of her home. Another of Chandra’s grown sons, Raju Sapkota, is an example of a young man now standing on his own. For the past 10 years, he has run his own restaurant and lodge in Pokhara called Sanu Lake on de Water. Being a father also helps him to appreciate Chandra and the work of all the SOS mothers. “I was child with nothing, and now I have my own business and my own family. I’m giving jobs to so many people, including sometimes young people from SOS. Today I’m living an independent life. This is a big credit to Chandra,” he says. 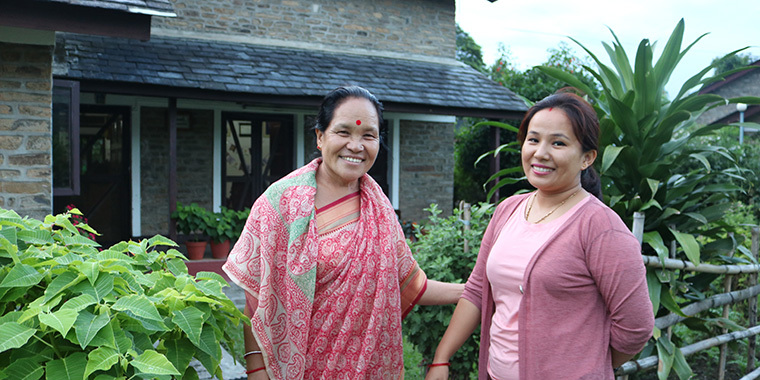 As the most senior SOS mother, Chandra acts as the mothers’ representative with management and also trains new mothers, says Bhagat Shrestha, the village project director. She has already been training an SOS aunt to eventually take over as the mother for her family home. When an SOS mother retires in Nepal, she still receives 60% of salary and can live in the village where they have a support network as they age, says Mr Shrestha. “They are like our family members,” he says. Chandra recalls one highlight of her career being when Dr Hermann Gmeiner, the founder of SOS Children’s Villages, visited the village and stopped by her home in 1981. Though they spoke different languages, she believes they were able to communicate their appreciation for one another and the importance of their work.